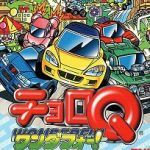 IGCD.net: Vehicles/Cars list for Choro Q Wonderful! The last Choro Q title for PSX, and the first ever with role-playing gameplay. Sadly, there's not much playable cars anymore and parts only can be obtained by locating treasure chests. And you have to be REALLY good at Japanese to figure what NPCs saying (most are quite important, like how to navigate that one endless sewer to reach other city, how to completing certain minigame, etc). Wow,what a lot unplayable cars! RedFerrari wrote Wow,what a lot unplayable cars! Sadly yes, for a Choro Q game. You can't even change your car's body here.